What supplementary benefits are right for you? Wouldn’t it be nice to have a little guidance in navigating supplementary benefits? 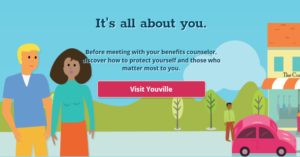 Youville is an easy-to-use site which will help you understand which voluntary benefits you may need.